Resharper throw the LoggerException continuously when I open my Solution, bore me again and again!!! 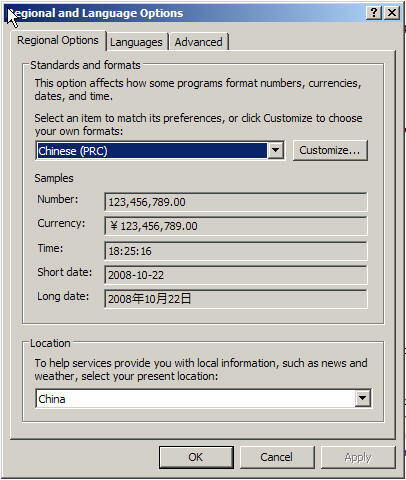 Could you let me know which file is error or tell me how to solve it? bore me again and again!!! 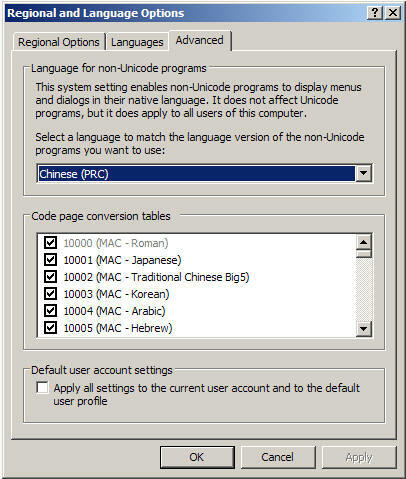 I comment code in chinese or english,my location is china, my os and visual studio 2005 is Eng Ver. going to publish some new nightly builds for 4.1 branch? Or only 4.5. And if only for 4.5 then question is when? Sorry, unfortunately our script for nightly build publishing was broken. I am encountering this only when solution-wide analysis in turned on. Yesterday, I installed ReSharper 4.1.943.5 and I am still getting this issue - actually, different flavors fo the same problem. 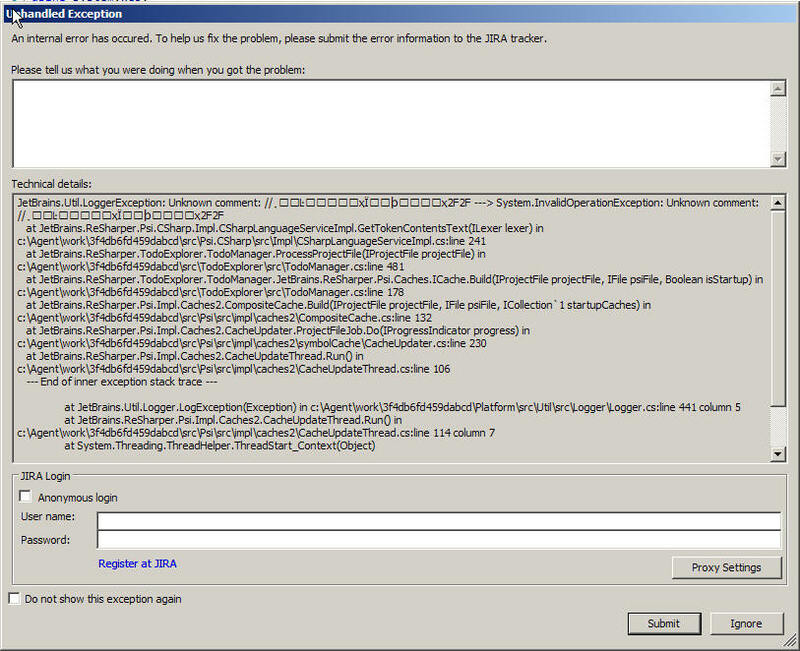 I get one of the errors with EVERY keystroke or when I switch over to a different file in my solution. Any ideas to to what I can do?? JetBrains.Util.LoggerException: The condition (myExternalizationManager.LoadStarted) is false. JetBrains.Util.LoggerException: Length cannot be less than zero. JetBrains.Util.LoggerException: The condition (myLoadStarted) is false. is the key to this problem. Thanks for the clarification, Serge. But this happens with every solution, old or new, any time I open Visual Studio. How do I get rid of these errors? prevent the exception from being accidentally suppressed. Well, it turned out that clearing ReSharper caches (closing all instances of Visual Studio and deleting *ReSharper* files and folders from my affected solutions and subprojects) solved the problem.